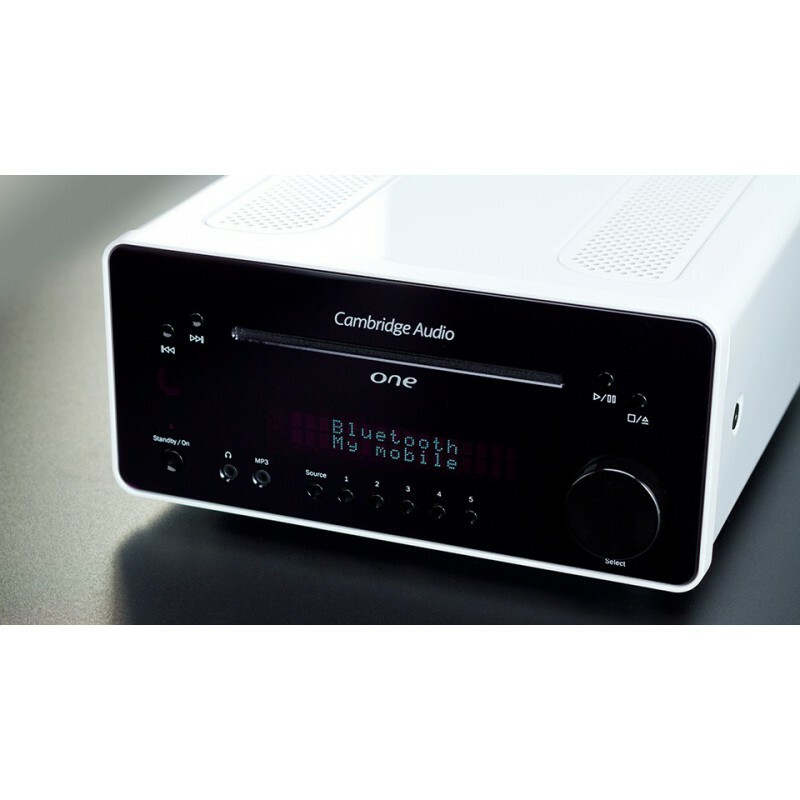 The Cambridge Audio One V2 is a compact but fully comprehensive all-in-one music system, integrating a CD player, radio tuner, digital-to-analogue converter and Bluetooth receiver. It also boasts a 2.5mm jack input for MP3 players, a stereo RCA analogue input, a headphone output, a USB input and a sub out (output for subwoofer). 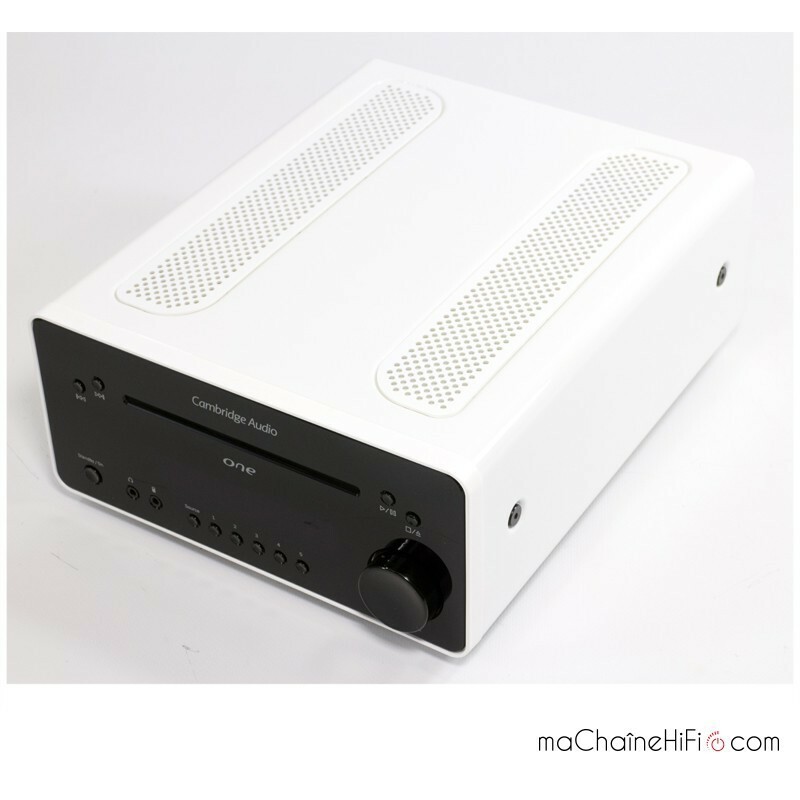 And thanks to its class AB amplifier, it has a power capacity of 30W per channel. 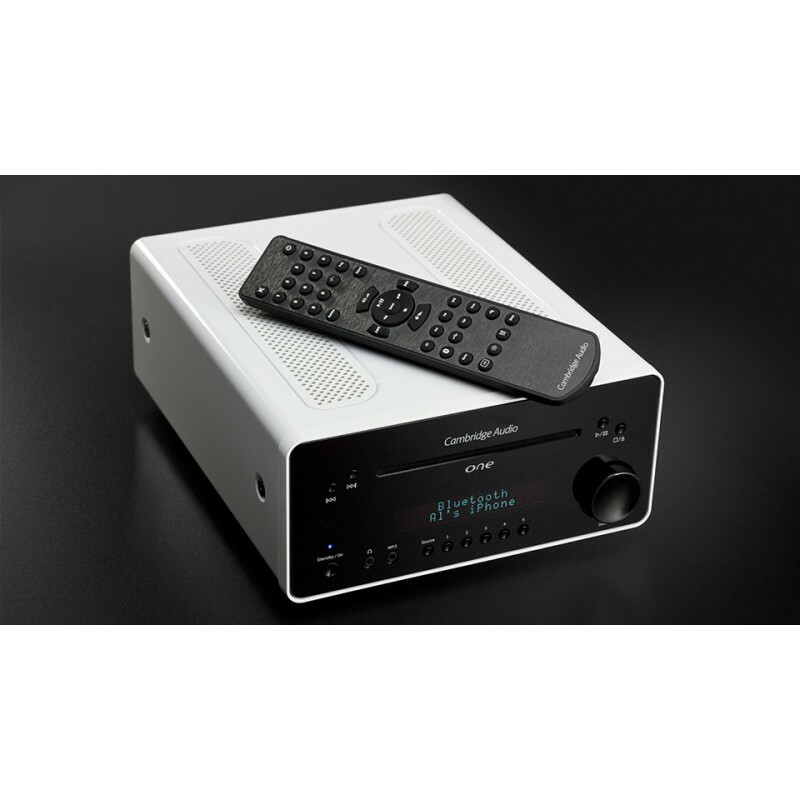 Its coaxial and optical digital inputs mean it can be connected to sources like TVs, satellite receivers, games consoles, or any other device with one of these outputs. 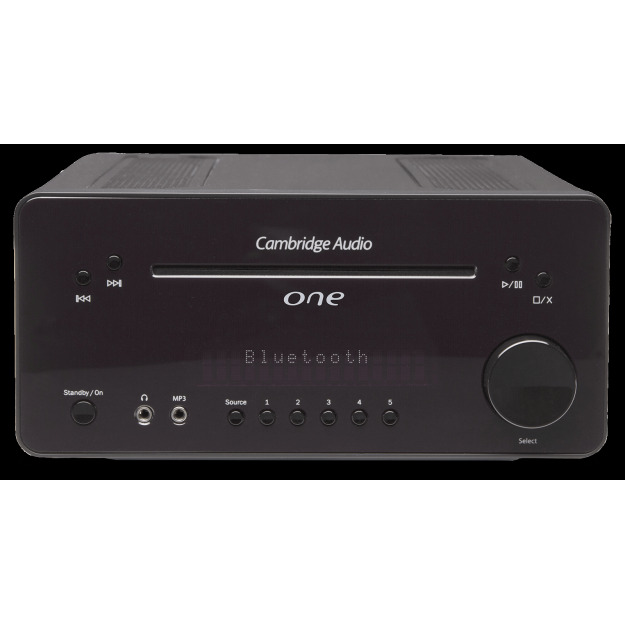 The Bluetooth input lets you play music from any Bluetooth-enabled smartphone, tablet or computer. 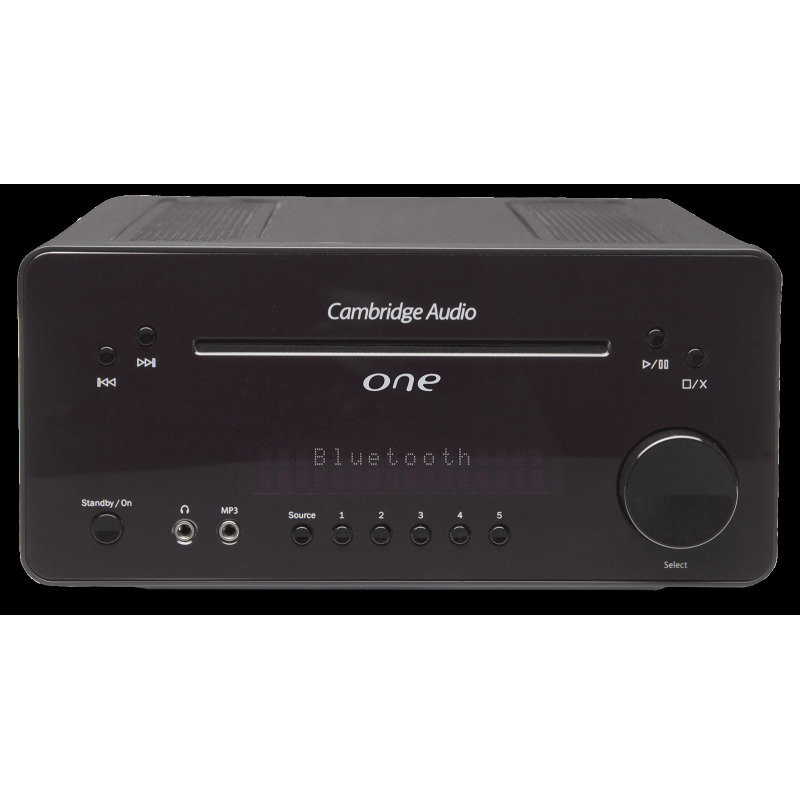 Just pair one of these devices to your Cambridge Audio One V2 amp, and you'll be able to stream your music wirelessly and freely with all the sound quality of a CD, thanks to the Bluetooth input being compatible with the aptX codec. 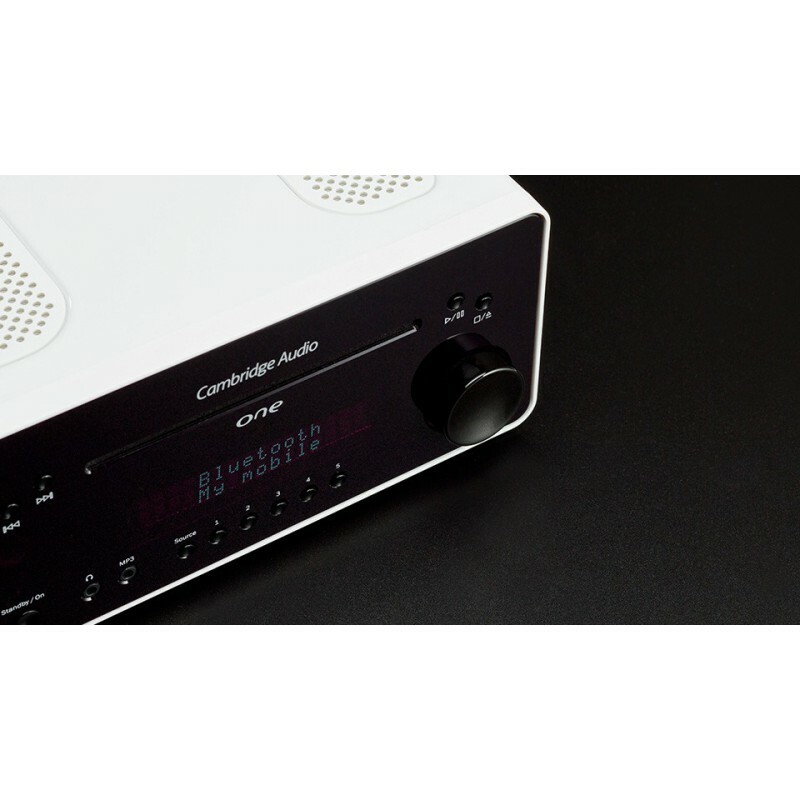 The USB input accepts resolutions and sampling rates of up to 24 bits/96 kHz. 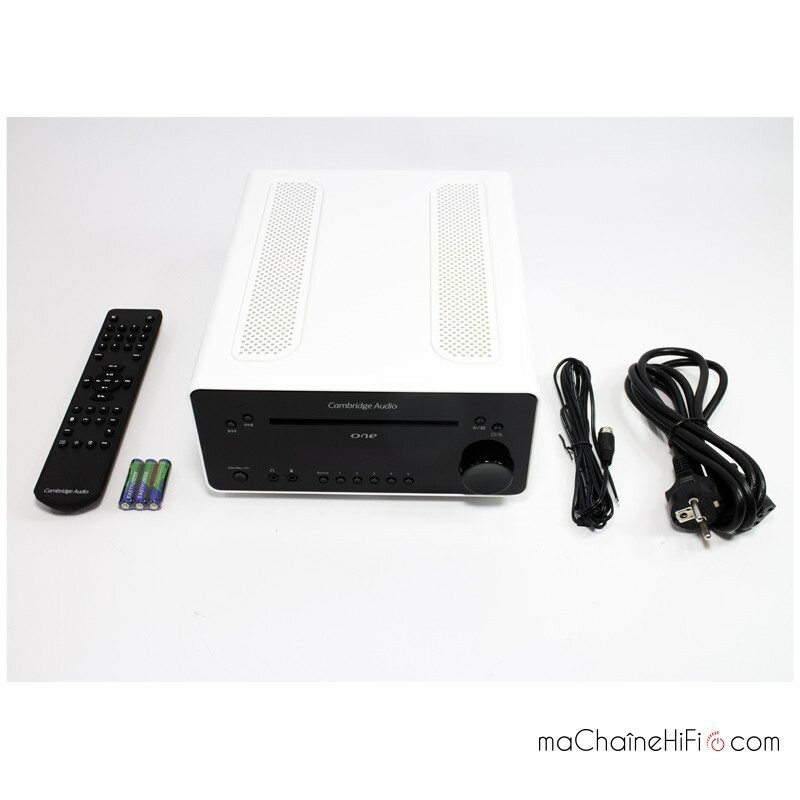 It uses a Wolfson WM8728 DAC for digital to analogue conversion. Its oversized toroidal transformer also ensures it has large power reserves. 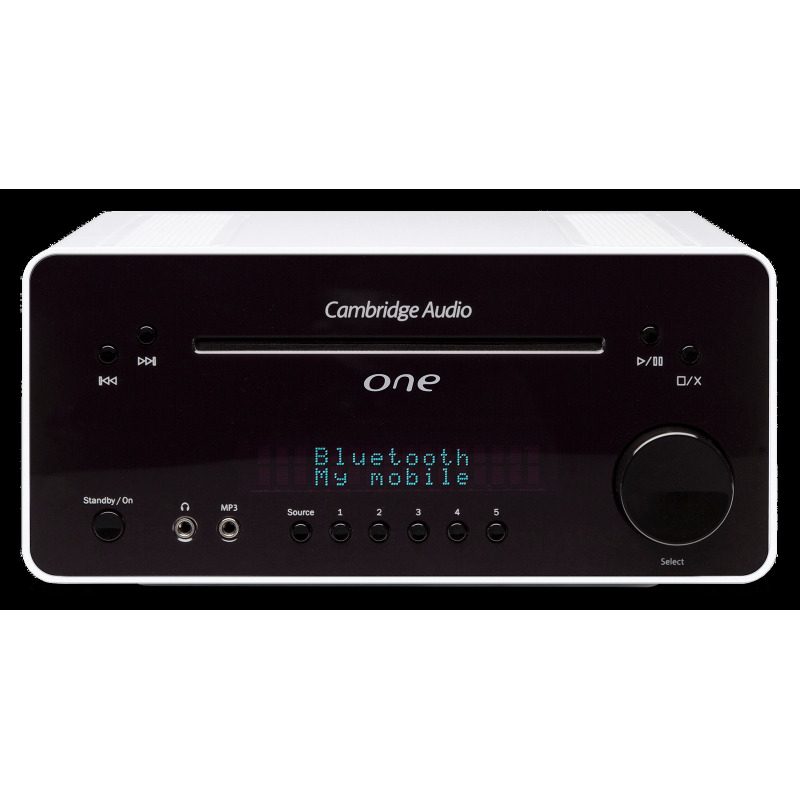 The Cambridge Audio One V2 all-in-on amplifier can be controlled either via the buttons on the front panel or the remote control delivered with the product. 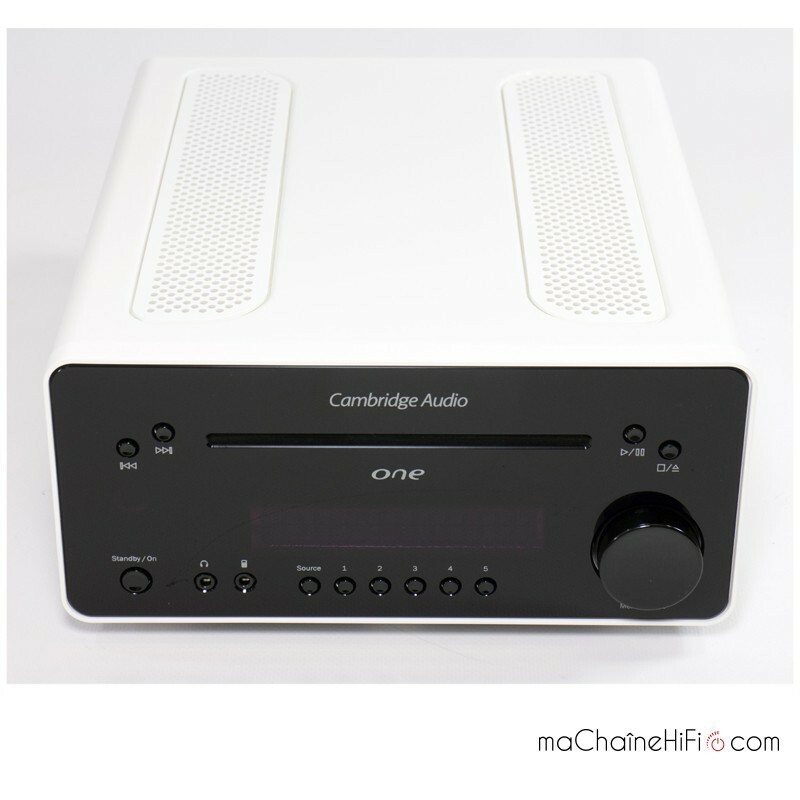 When combined with a pair of top quality bookshelf speakers Cambridge Audio One V2 amplifier delivers a beautifully delicate sound. Its many and varied functionalities make this a well designed and highly musical product.